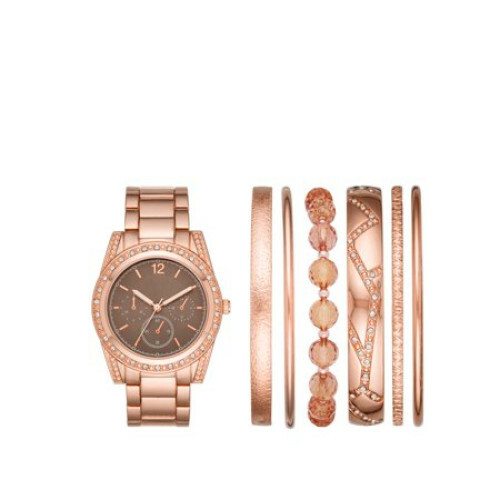 Own an elegant rose gold timepiece with matching bracelets. This tonal dial watch and bracelet set will compliment any wardrobe, from casual to business to formal. 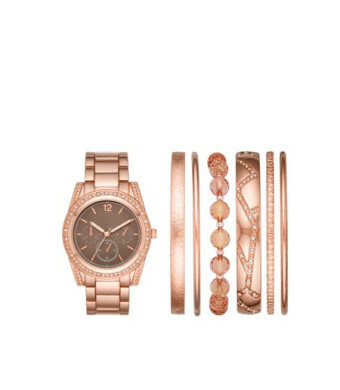 The beautiful rose gold watch with stones is complimented by 5 bracelets of the same hue in varying designs and styles. Pieces can be worn as a set or separately.